An introduction to the new, reliable, powerful ncurses library. Use gpm to turn text-oriented programs into mouse-sensitive applications. 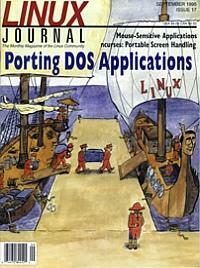 Lots of practical tips for porting your DOS applications.